Today we are going back in time to the 80s with the newly released cover of "Don't You Want Me" by French Horn Rebellion. 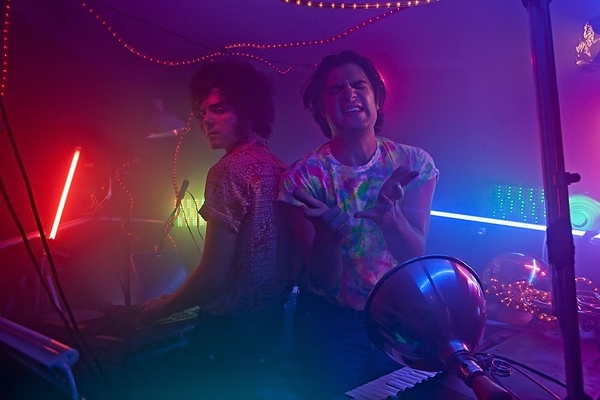 French Horn Rebellion is a brother duo from Milwaukee, Wisconsin, but are currently residing in Brooklyn. Most people are familiar with their collaboration with Viceroy of "Friday Nights," but their cover of the Human League's song brings us nothing but joy. It provides us with the perfect flashback while still remaining relevant in the current century. With a funky guitar and a beat you want to dance to you almost feel like you need some leg warmers and to be out of the dance floor. French Horn Rebellion keeps releasing phenomenal music and after seeing them live back in July with Savoir Adore I expect these guys to go far! Also, did I mention their from Wisconsin? It's great seeing a band from my home state creating amazing music! Take a listen to "Don't You Want Me (The Human League Cover)" below. French Horn Rebellion is currently on tour this fall. Find tickets for a venue near you here.